The resurrected Ghost Light After Party brings a piano bar vibe to Broad Street | Arts and Culture | Style Weekly - Richmond, VA local news, arts, and events. File photo by Scott Elmquist Local actors Matt Shofner and Maggie Roop are hoping to appeal to folks with Ghost Light After Party’s loose, open mic nights at TheatreLab’s the Basement. Imagine sitting in a piano bar surrounded by neighbors, people coming from a show at the National or dinner at nearby restaurants, and theater performers, a place where strangers and friends gather round the keys and sing until last call. Places like Marie's and the Duplex in New York have long offered an intoxicating appeal that feels more like a cocktail party's social atmosphere that just happens to have a musical theater vibe than another run-of-the-mill bar. Now it's Richmond's turn. 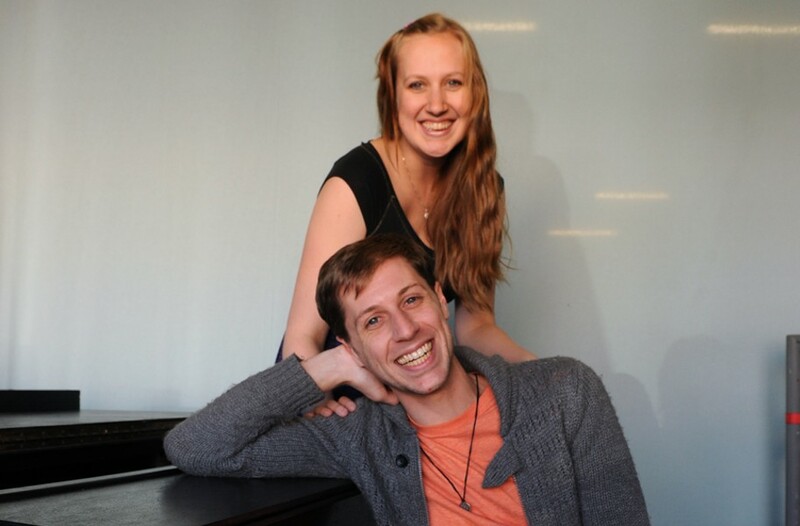 Back in 2012, local actors Maggie Roop and Matt Shofner created the Ghost Light After Party, a monthly cabaret-style free-for-all at Richmond Triangle Players. With themed nights, guests — sometimes entire casts from local productions — dirty Mad Libs and plenty of alcohol, attendees were treated to song after song by anyone who cared to perform. In many cases, that meant seasoned and talented theater professionals belting out Broadway, pop and Disney songs, but other times it might be a singer and songwriter just starting out. Such was the case when Lucy Dacus, long before she formed a band, took the stage to play acoustic guitar and cover Prince's "I Would Die 4 U" to an enraptured audience. Although the original Ghost Light After Party only lasted two years, its absence was mourned by music and theater fans. Roop and Shofner got the message, resuscitated it and moved the fun. "Duplex was one of my favorite places in New York because it became my Cheers," Shofner says of the venerable TV bar. "How great would it be to turn this bar into some people's Cheers, a hub of cultural and art activity?" The party's been moved to the Basement, home of TheatreLab, where Roop has joined the staff to focus on special events. The two love that the subterranean space is cavelike, dark and tight, but eminently flexible in how it can be utilized. Where the Richmond Triangle Players space dictated a cabaret with an electric keyboard, the Basement is a natural for a true piano bar. "We're going for a much looser vibe than the way we did it before," Roop explains. "You can come to the play and stay afterwards, maybe talk to others about what you saw. Or drop by for 20 minutes, enjoy the fun and leave. It's low risk, high reward." Most of all, it's a party. TheatreLab has acquired a piano and the Basement bar has been revamped with a new selection of wine and beer. Multitalented accompanist J.S. Fauqet does his part playing, harmonizing and leading singalongs. Shofner and Roop will continue their roles as hosts, ensuring a party atmosphere and keeping the pace moving. "We're hoping to reach new folks with the afterparty's open-mic vibe," Shofner says. "People making original music in Richmond can come share it and have access to information about what's coming up at local theaters. Or someone can come in and sing 'Ladies Who Lunch' and nail it. This is a way to bridge the gap with other arts communities in town." The Basement's location across from the new Virginia Commonwealth University police station, a Pulse stop and a block from a public parking lot has seen a lot more foot traffic, which Roop and Shofner think contributes to a growing downtown vibe. Inside, they've taken it one step further by situating the party away from stage lighting so that it feels less performancelike. There's no cover charge, but donations big or small for TheatreLab are encouraged. "There will be ebb and flow moments, just like at a party," Shofner says. "It's always great to see actors coming in for a cocktail after getting offstage that night, but so is doing a big singalong to 'Hey, Big Spender' with people you don't know. Our motto is GLAP: everyone loves a nightcap." For now, the afterparty runs on the second Saturday of the run of each TheatreLab production, with plans to increase the frequency once it catches on. Other regular events — trivia, late night lip-sync battles — will fill out the monthly events calendar at the Basement. Just remember, it isn't a show, so there's no commitment to showing up. In fact, the organizers are hoping you'll stay just as long as you like. "Last time we had a lawyer and a lighting designer get up and sing together," Roop recalls. "That pretty much encapsulates the whole thing." Ghost Light After Party takes place Dec. 15 at 10:30 p.m. at the Basement, 300 E. Broad St., theatrelabrva.org.